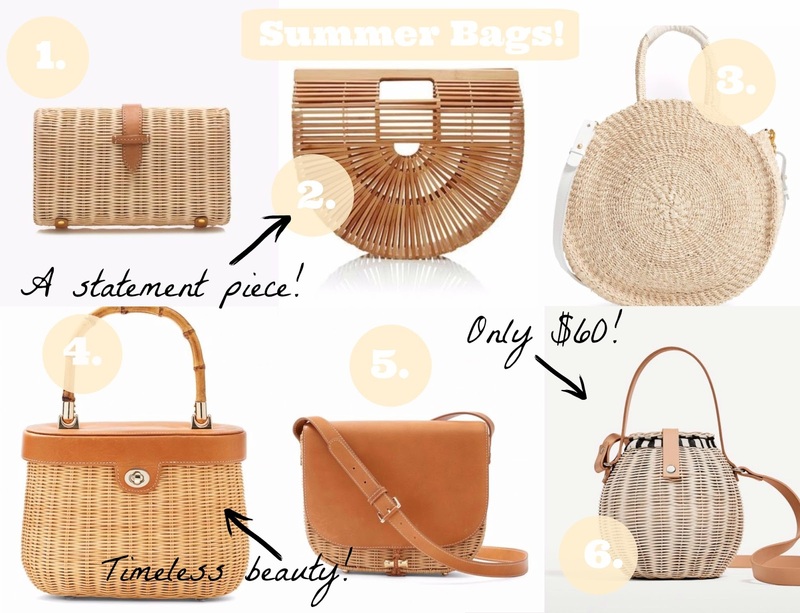 Straw and wicker bags seem to be all the rage right now and it's easy to see why. These basket-like beauties exude major vacay vibes and are a breath of fresh air compared to dull, winter handbags. While some are definitely investment pieces like this one, there are more affordable (and just as cute!) options like this one to achieve the same summery look. You can shop my favorite bags pictured above by clicking on the links listed below! XO. *images are not my own.